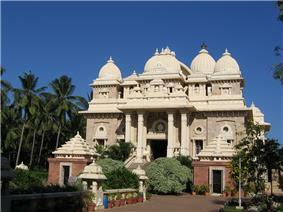 Ramakrishna Math is a religious Ramakrishna Mission. 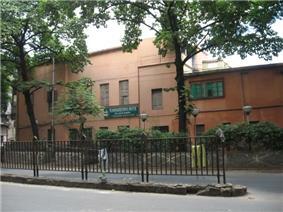 It also has Advaita Ashrama branches at Mayavati, near Almora and in Kolkata. 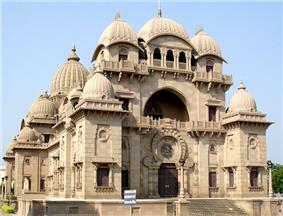 Ramakrishna Math consists of monastic order. The original monastery at Baranagar called Baranagar Math was shifted in January 1899 to a newly acquired plot of land at Belur in the district of Howrah. This monastery, known as Belur Math, serves as the Mother House for all the monks of Ramakrishna Order who live in the various branch centres of Ramakrishna Math and/or the related Ramakrishna Mission in different parts of India and the world. Any organisation, especially the one that bears the name of an epoch-making person, needs a motto to guide it and an emblem that constantly reminds and inspires. 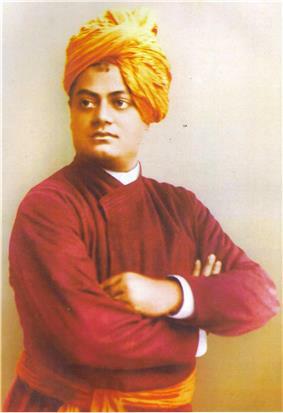 Realising this, Vivekananda placed before it the motto: आत्मनो मोक्षार्थम् जगद्धिताय च - Atmano Mokshartham jagaddhitaya ca ('For the liberation of the Self and service to the society'). He also designed a charming but distinctive emblem that effectively reflected this motto. It consists of an elegant swan against the backdrop of the rising sun, surrounded by wavy waters from which has arisen a beautiful lotus flower along with a couple of leaves. This whole picture is encircled by a hooded serpent. Whereas the motto adds a social dimension to the hitherto, purely personal, aspect of a self-centred sadhana, the emblem - which graphically describes a balanced combination or harmony of all the four yogas - enriches that sadhana by making it more comprehensive. The basic philosophy of life put before the Ramakrishna Order by Vivekananda automatically led to a bifurcation of its activities into two important, but parallel, areas. 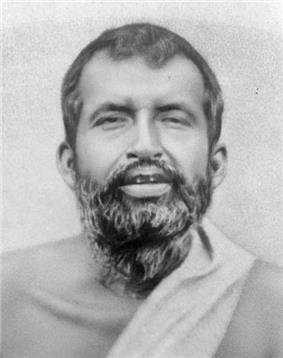 The atmamoksha aspect resulted in the establishment of the Ramakrishna Math, an organisation catering predominantly to the spiritual needs of the monks of the order as also its votaries. The jagaddhita aspect on the other hand, gave rise to another, a sister organisation, concentrating solely on public service activities. The fundamental truth as taught by all religions is that man has to transform his base human nature into the divine that is within him. In other words, he must reach the deeper strata of his being, wherein lies his unity with all mankind. And Vedanta can help us to contact and live that truth which unfolds our real nature — the divinity lying hidden in man. If there is ever to be a universal religion it would be one that would occur within the confines of a palace of no location or time. This palace will be infinite and within these walls God will preach its holy sum. Its warm rays will shine down upon the followers of Krishna, Mohammed, Christ, Buddhists, and all teachers alike. These walls will ever grow to encompass the infinite space of the soothing heart. This religion will know that every virtue of man is to be held and witnessed all from the grovelling savage not far removed from the brute, to the highest man. It will be here that standing still, towered by the virtues of his head and heart will he remain making society stand in awe of him. It will be his religion where there shall be no space for persecution or intolerance within its politic. It will be a place which will recognize its divinity in every man and woman and whose whole scope and force will be centered in aiding humanity to realize its own true point. This "sum total" of all religions does not mean that all people on earth have to come under the banner of one prophet or worship one aspect of God. If Christ is true, Krishna and Buddha are also true. Let there be many teachers, many scriptures; let there be churches, temples, and synagogues. Every religion is a path to reach the same goal. When the goal is reached the Christian, the Jew, the Islamist, the Hindu, and the Buddhist realize that each has worshiped the same Reality. One who has attained this knowledge is no longer a follower of a particular path or a particular religion. He has become a man of God and a blessing to mankind.